The best Half Marathon anywhere on Easter Monday! The course is an undulating but scenic one lap rural route. 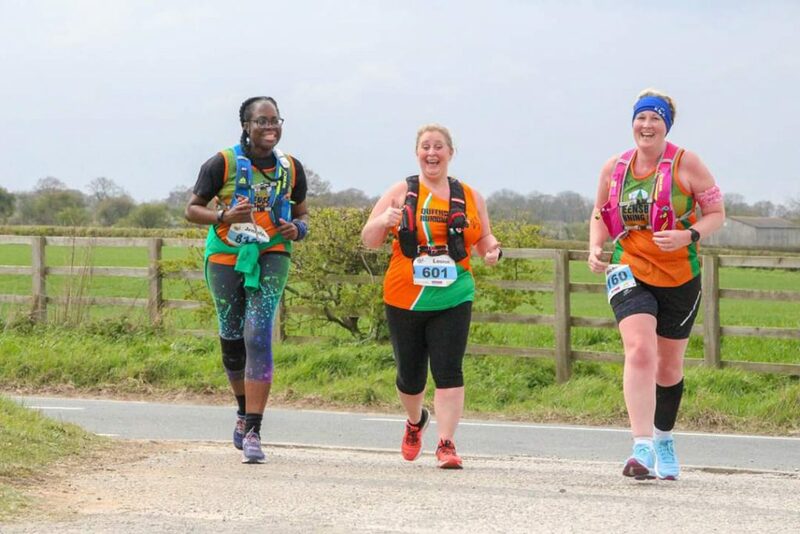 It is run on generally quiet country roads and lanes.The race runs along the edge of High and Low Ackworth, through the small historic village of Wentbridge (both outward and return sections), the fringe of Darrington and the hamlet of Hundhill. There’s a bit of a hill in Wentbridge on the outward loop and for the last stretch up Sandy Gate Lane! 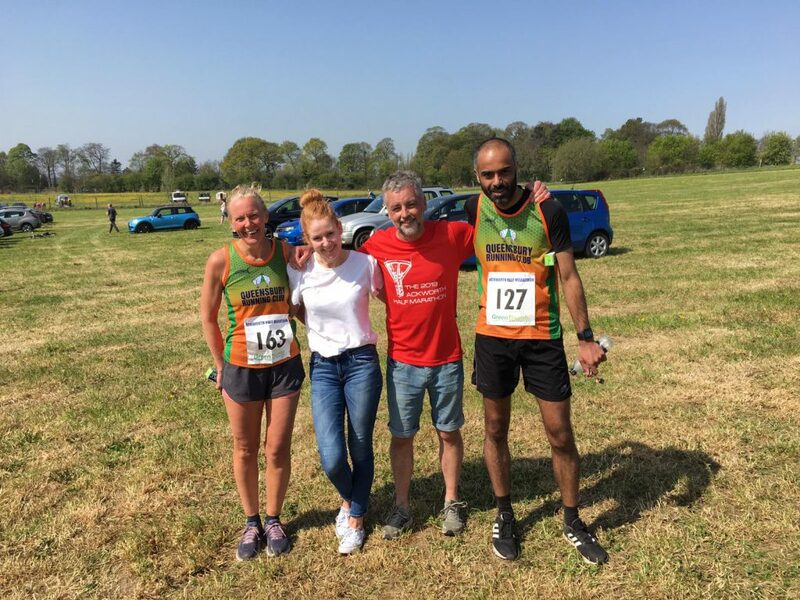 Racing for Queensbury was Wasim Hussain, Andy Stott, Lynn Hurst and Terri Mason all 3 ran well considering the hot conditions, it was snowing at last years race. 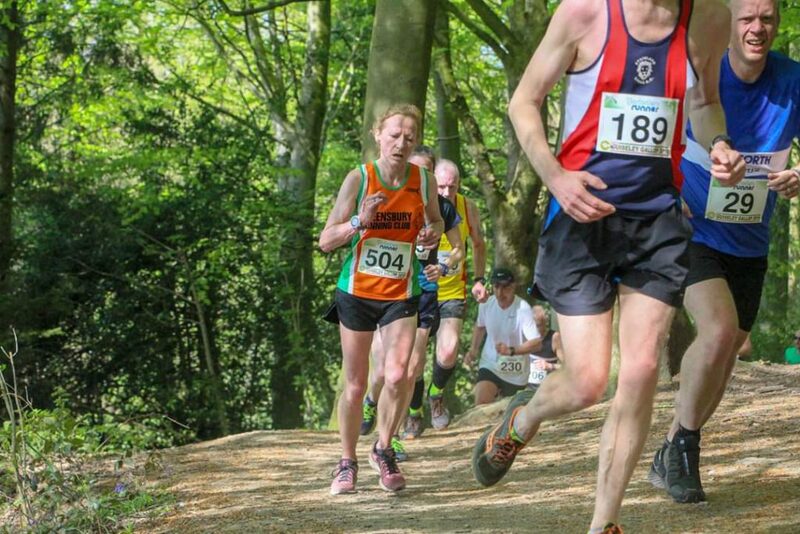 The 24th Staging of this popular scenic trail race event along paths, tracks and canalside just over 6 miles in distance with over 500ft of climbing. Stacey Cleal was our only entrant finishing 81st and 1st F50 in a super quick 49:17, well done lass. 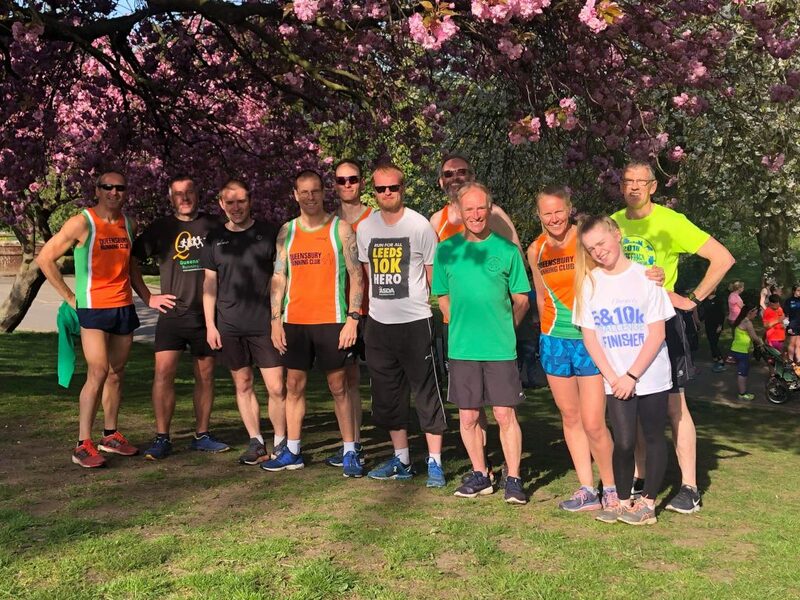 A big shout out to the 10 members and Katie who made the journey to the far side of Leeds for our latest awayday Parkrun. A lovely park and a great atmosphere created by all the volunteers, a great turnout for us and hopefully we all caught the bunny. Also congrats to Alistair on his PB at his local course. Well done Bethany Turner on her PB at Bradford this morning and a big cheer to see Peter May back out with his trainers on after a long injury layoff. Congrats to Lynn Hurst and Andrew Tempest Mitchell on their super quick PB’s this morning. Glorious sunshine greeted us at Salford Sports Complex, Lower Kersal, a race in which the organisers described as an undulating 2 lap course, 2 laps yes but the jury is out on undulating. With £100 up for grabs for breaking the course record (29:32) this race attracts some fast athletes and which in last years race 33 minutes didn’t get you a top 20 finish. A good proper club run with no gimmicks. Position on gun time, time on chip time. 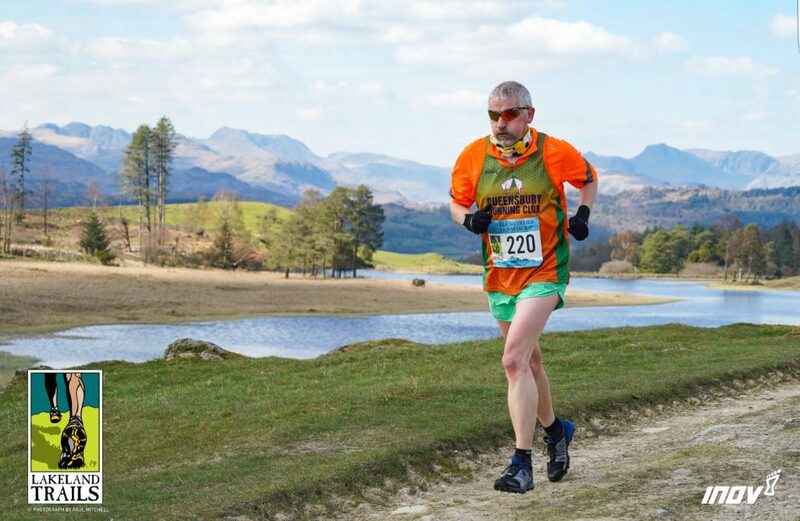 Starting and finishing at Hawkshead, the Hawkshead 16km Trail Race follows a circuit along well marked and marshalled footpaths and bridleways, taking in panoramic views of Lake Windermere and the surrounding peaks of the Coniston Hills, the Langdales and most of the Lakeland fells. The route takes in the infamous, mile long, near vertical, killer climb of the “Coffin Trail”! Good on Philip Whettlock for even thinking abbot racing this 10 miler, the words ‘Coffin Trail’ says it all. Philip finished 77th in a speedy 1:35:55. Well done, great stuff. The Vale of York 10 Mile sells out every year and no wonder; it’s a fast, flat 10 mile PB waiting to happen and just like the Half, the race takes off from a runway (a different one) to glide around some fast, flat, traffic-free closed roads, west of York, east of Leeds. The charity partner for the Vale of York 10 is Epilepsy Action, the UK’s leading epilepsy organisation. Well done ladies, AWESOME STUFF!! 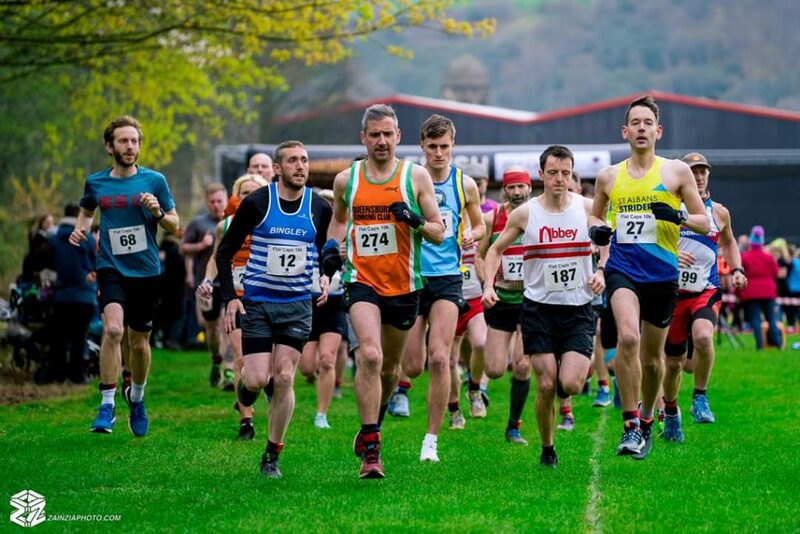 The Flat Caps 10k is run around the picturesque Calderdale countryside. The race is now in it’s second year with 100% of profits going to the Christie NHS Foundation Trust. This is an undulating 10k Road Race starts and finishes at Sowerby Bridge Cricket Club. 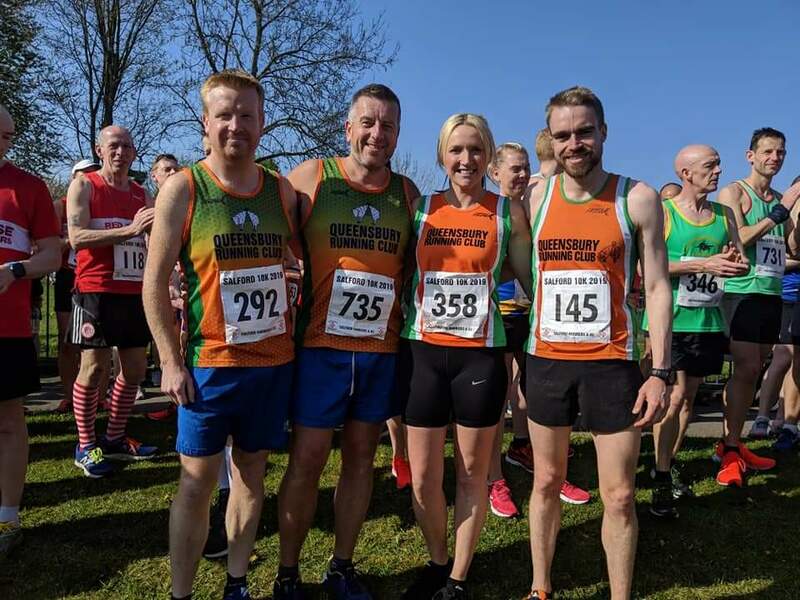 Jo Horan and Lee Shaw raced for Queensbury both having fantastic races with Lee finishing 8th in 43:25 closely followed by Jo in 22nd 46:52 and 1st lady. Homefirth Harriers were the hosts of the 2nd race in the Grand Prix season and the weather was kind with fantastic running conditions. With a 2 lap opening circuit of the rugby pitch it was out at the far side of the field to the 1st of the climbs, through fields and dirt tracks passing Brockholes and upto Thustonland, a water station at half way offered refreshments, before the drop back towards the home of Holmfirth Harriers and a final lap of the field, where the early finishers cheered the last runners in.